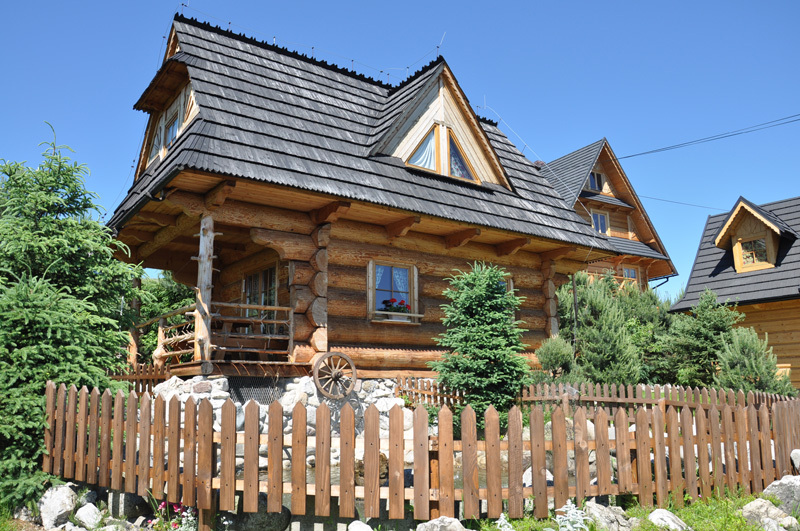 SZWAJNOSÓWKA is our family farm which is located in Witów in Podhale region- a village situated at the foothills of the Tatra Mountains, by the road from Czarny Dunajec, about 100 km south from Kraków and 12 km from Zakopane. 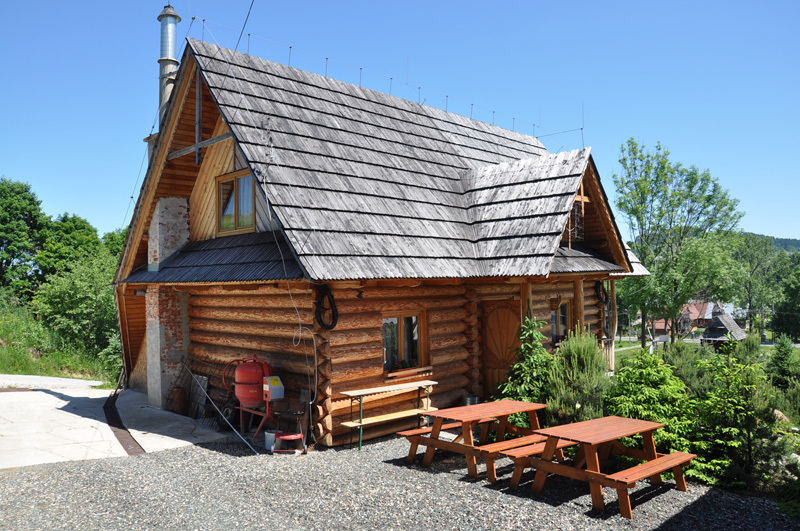 At some distance from the main road on a hill, we have built six small timber houses in the highlander style, for our guests to let. 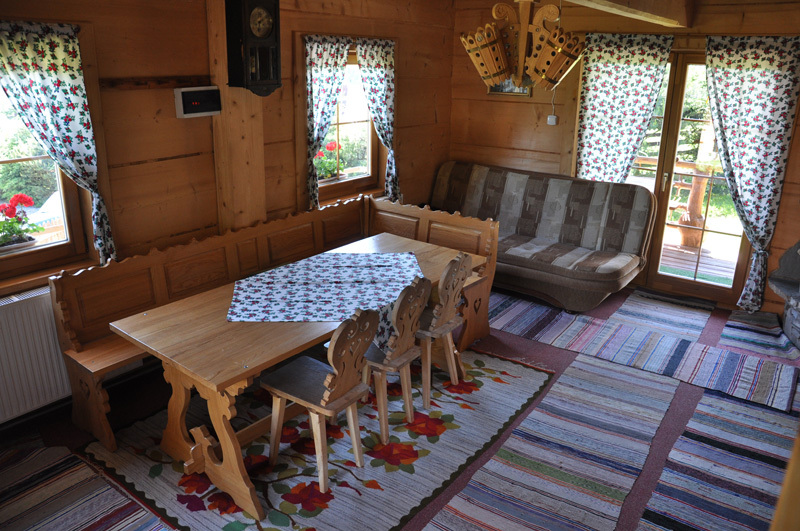 All of the houses are centrally heated and are accessible for the whole year. 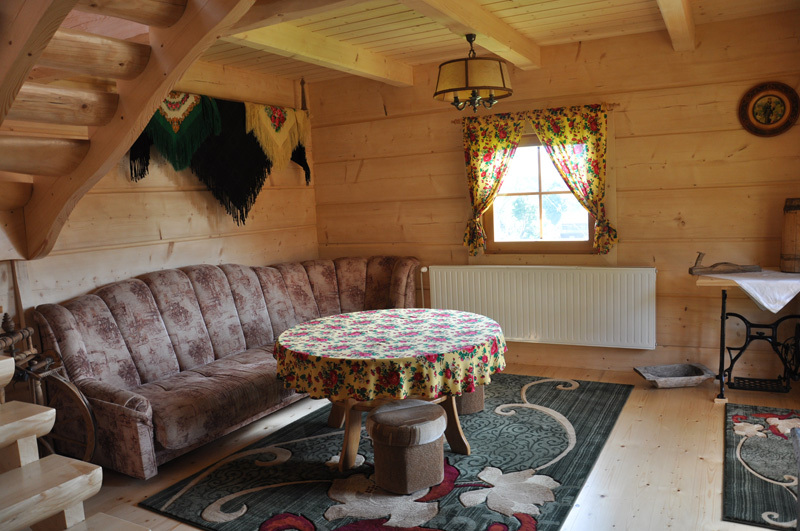 The cottages are furnished in a simple but modern way and the names of individual objects reflect the interior design of each of them. 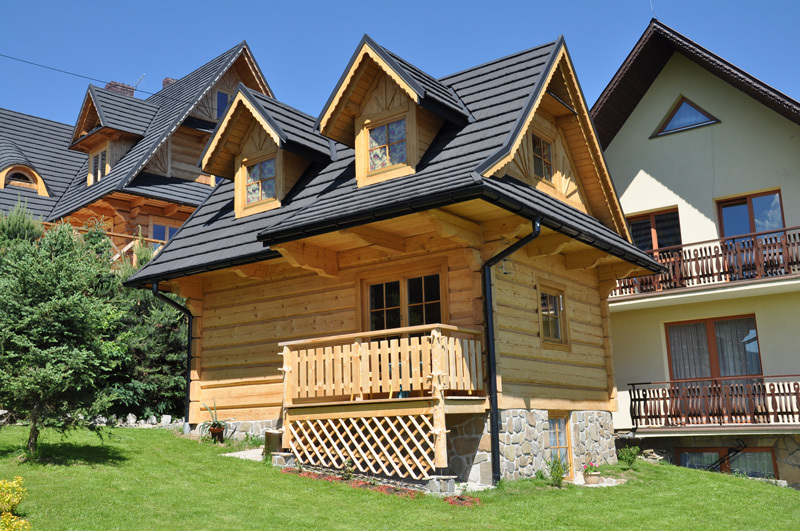 The biggest of all the cottages is the Green Chalet. 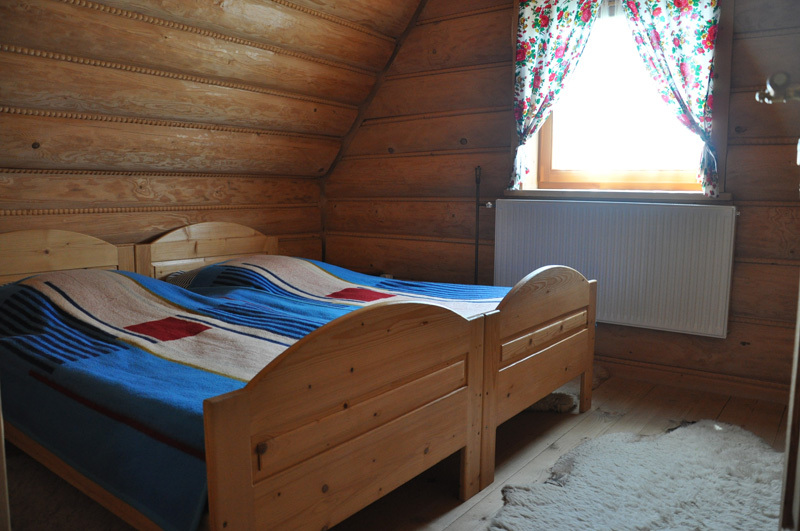 It consists of 4 bedrooms with bathrooms for 10 people, a kichenette and a living room with a fireplace. 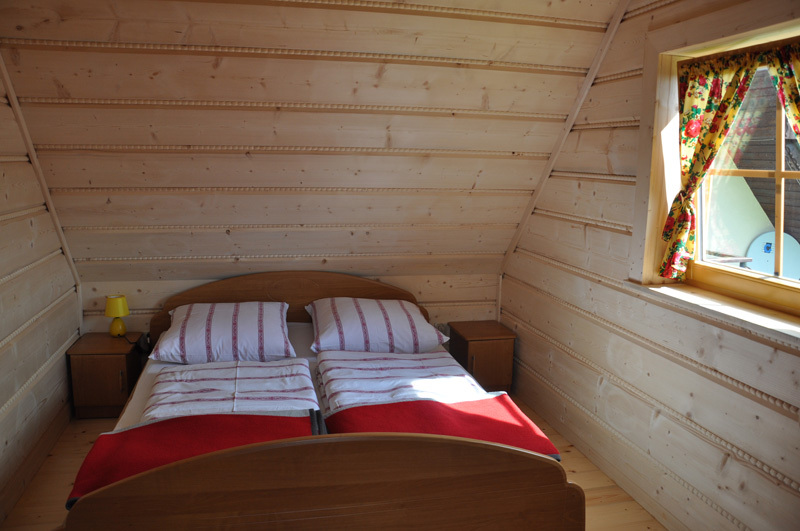 There is also an additional small room for 2 children in the attic (included in the renting price). 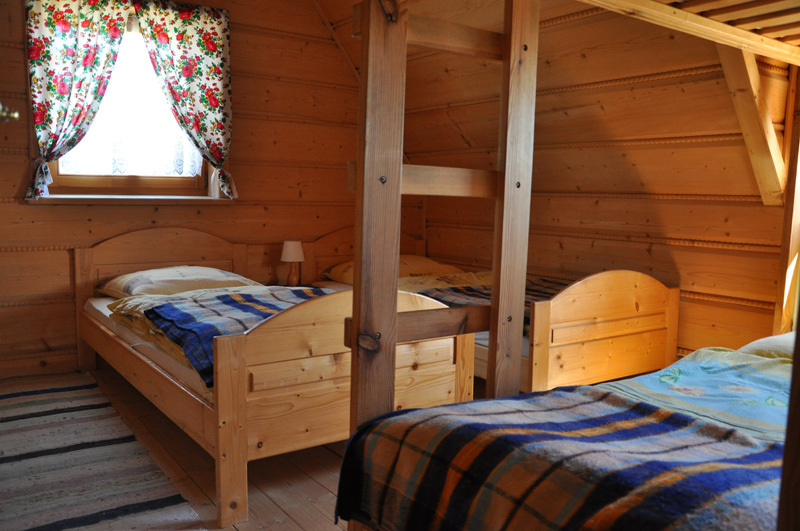 In a White Chalet which is located next to a pond there are 2 bedrooms for 5 people, a bunk bed for sixth child, a bathroom and a living room with a kitchenette and a terrace. The Purple Chalet and the Blue One can both accomadate up to 5 people. 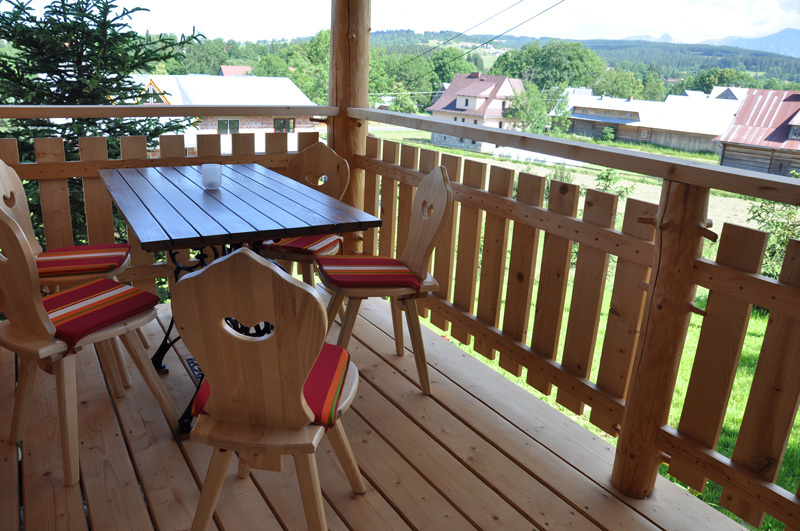 Each of them consists of two bedrooms, daily rooms with kitchenettes, bathrooms and they are combined with terraces which overlooks the Tatra Mountains. 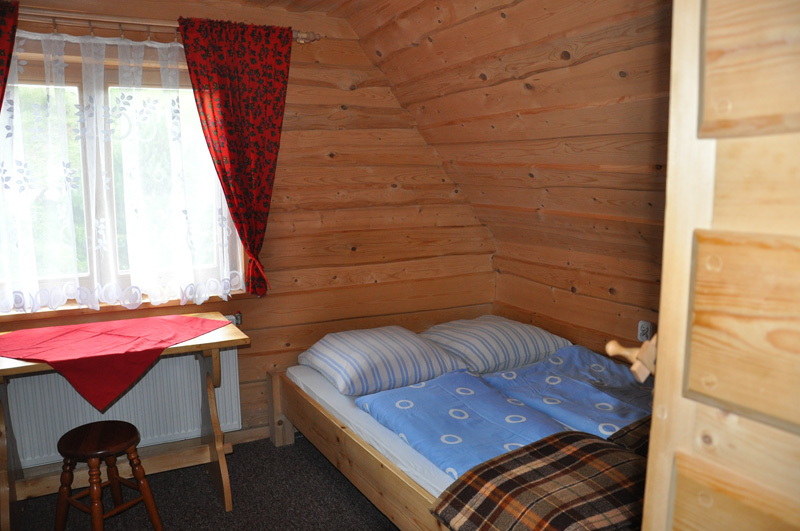 Completely new equipped Yellow Chalet and the Red Chalet are both suitable for 4 people. 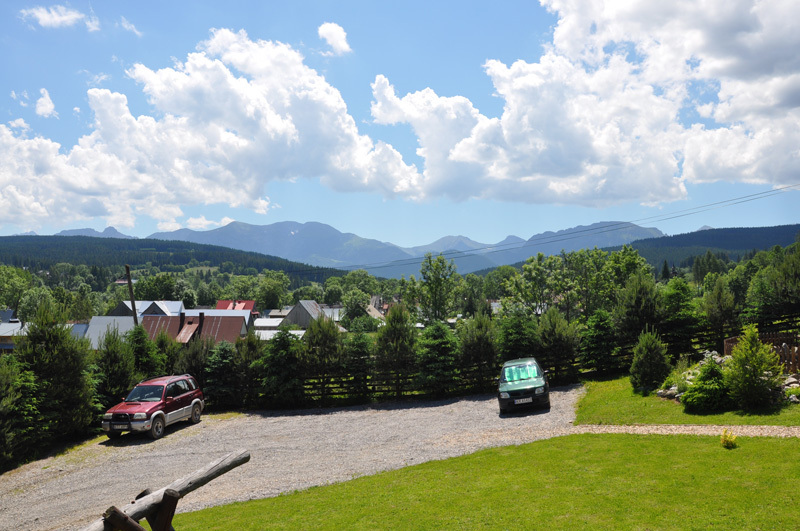 They each include two double bedrooms, a bathroom, a living room, a kitchenette; theirs main attraction though are terraces which overlooks the mountains and which have a direct access to the garden. 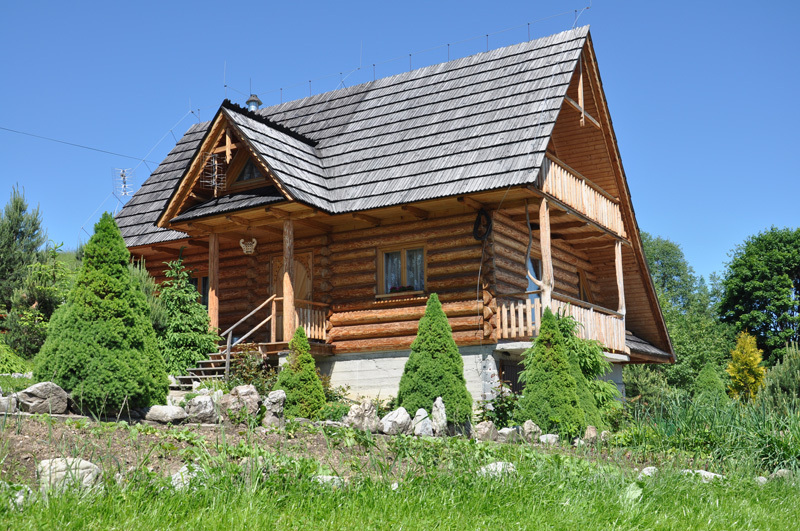 In all of the buildings there is an access to a wireless wi-fi network. 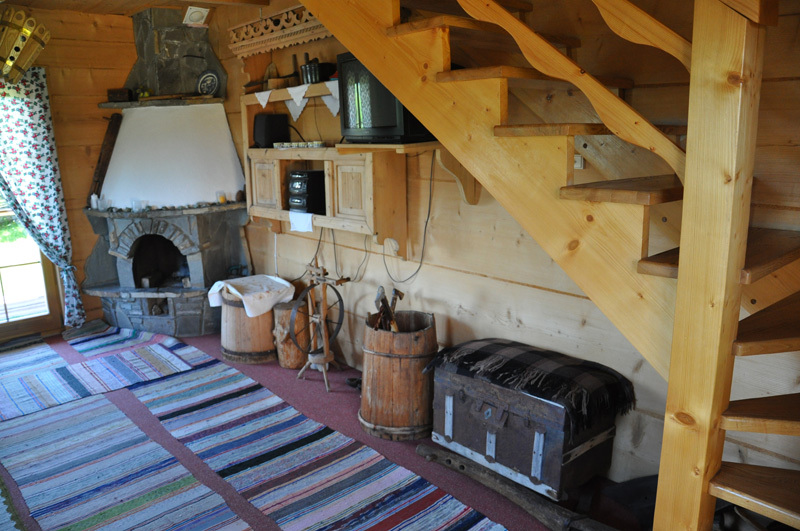 In kichenattes there is a possibility of preparing a small meal (e.g., a breakfast). 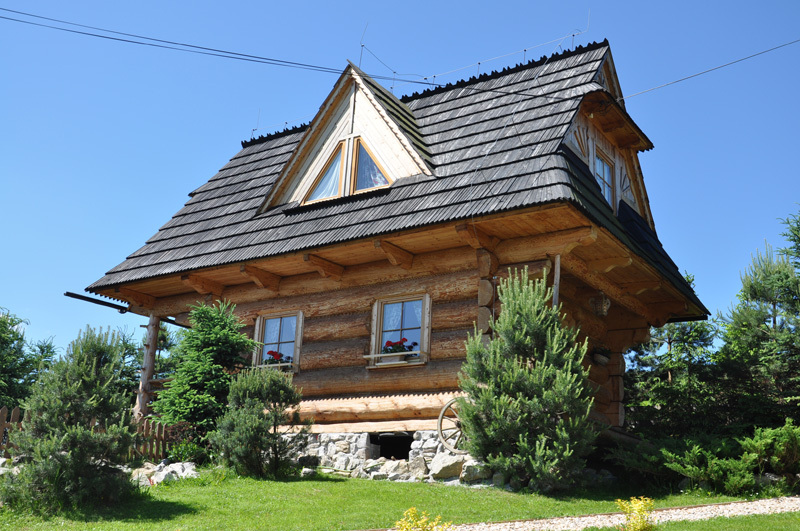 We do not allow cooking dinner dishes because of the wooden interiors of houses, not impregnated and not varnished. 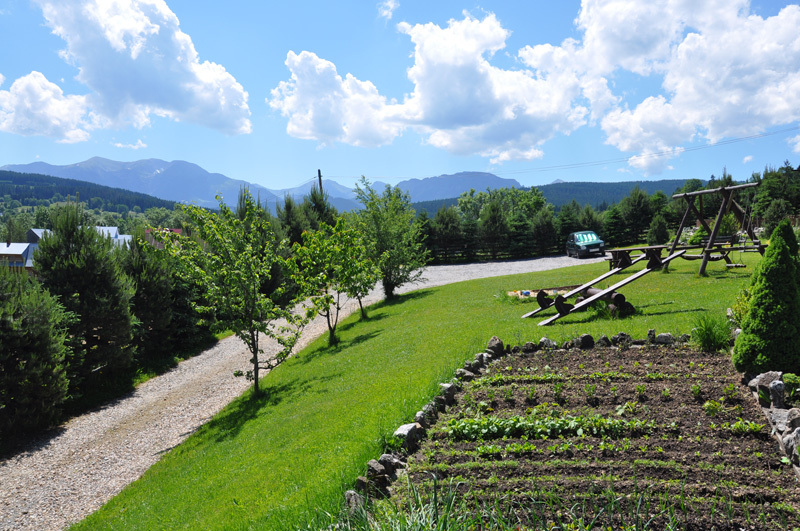 At the surrounding of the houses we arranged a rock garden and a flower garden, a small basin with trout, a playground for children with swings and a sandbox, a barbecue and a parking for our guests cars.